I would highly recommend Eric at Body Evolution Personal and Sports Training LLC. Usually, when it comes to working out, I get bored and lose interest quickly. Eric always has me guessing as to which type of workout I’m going to do. This makes working out fun, exciting and I never get bored. After experiencing a shoulder injury, Eric helped me strengthen and recover from the injury and really kept me motivated throughout. Going to the personal training studio is not intimidating like other gyms. I really enjoy my time spent from beginning to end and continue to be motivated and continue to see results. I have been training with Eric for over a year. My first thought was just “try” it for three months then go off on my own, but soon I realized that I enjoyed getting motivated and pushed with the variety of workouts Eric has. After going through a difficult time in my life, I knew I had to do something to regain what made me happy. One of the major components of that has been consistent exercise. Training has strengthened me physically but the best benefit of all is that emotionally it has changed me for the better. I know my body is aging but training at Body Evolution is my key to staying happy and healthy. Eric’s customized workout programs have allowed me to progress on a steady and sustainable path to feeling fit. His variety of programs keeps me interested and eager to exercise. And his knowledge of technique and conscientious approach to exercise gives me confidence and courage to push myself. I feel so fortunate to have found him! I started working with Eric 6 months ago after an accident. I had multiple injuries and he has helped me through to complete recovery and beyond. I now feel like a strong young woman who happens to be in her mid-fifties! In the meantime, I have lost weight and completely change the way I eat. If you had told me then that I would become strong, lean, and agile and feel so good, I wouldn't have believed you. But it is true, because of Eric. 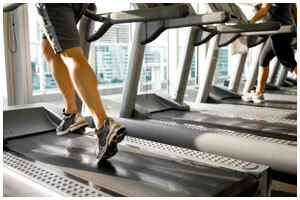 We try to make efforts to keep up with our health, but we also find ways to get out of exercising. Eric’s program gave me the level of accountability that made it easy to keep up with my exercise program. Furthermore, instead of the social atmosphere of a gym, I am able to concentrate on my workouts and make full use of the time. If professional athletes have trainers, it makes sense we can have one too.